Dr Fabio Nemetz has been named joint winner of the inaugural Director of Studies Award. Fabio said, "It is a huge honour to be nominated and to be recognised as one of the winners of this award. I thank all my students for the privilege of being their Director of Studies and the partnership we've established in computer science". 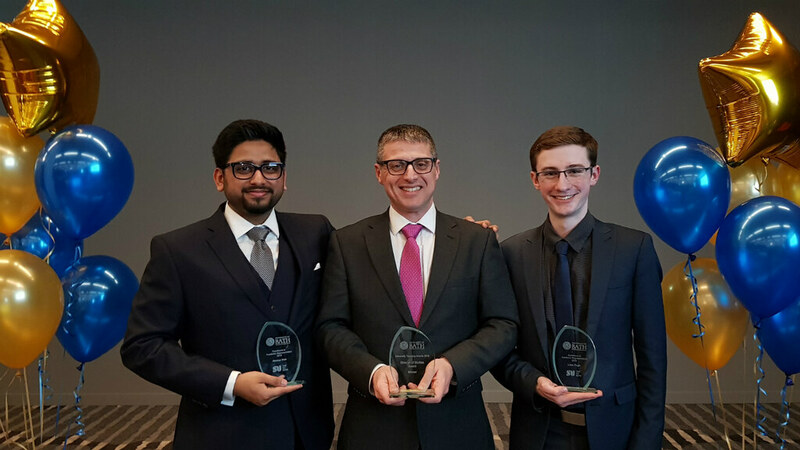 Second year undergraduate student, Liam Pugh and PhD student, Akshar Nair have won Excellence in Academic Representation awards for their continuous engagement with our undergraduate and postgraduate student cohorts. Second year students, Hester Gent and Imran Isa-Dutse have jointly received the Lead Peer Mentor of the Year award from the SU Bath. It's the third consecutive year that the Department has received this award. It's also the second year in a row that the Department has received the award for Commendable Peer Assisted Learning (PAL) Scheme, with Jack Pendlebury, Liam Pugh, Matt Buckley, Samekah Howard, Will Taylor, Redan Yelden, and Alex Eales as Senior PAL leader.